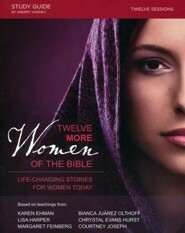 In this 12-session video Bible study, some of today's best-loved authors and speakers look at the spiritual lessons learned from twelve biblical women and what they mean for today's women. This Study Guide Pack includes a DVD with 12 video lessons and one copy of the accompanying study guide. Additional study guides can be purchased separately (SKU: 081463). 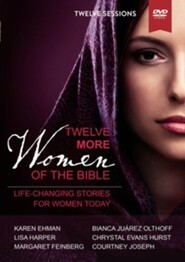 In this twelve-session video Bible study, some of todays best-loved authors look at the spiritual lessons learned from twelve women in the Bible and what they mean for you today. You will look at these womens successes and failures, see how they drew near to God in the midst of trials, and learn how they overcame rejection and disappointment. 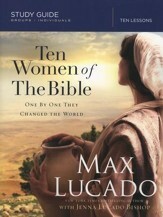 Their stories will inspire you to persevere through difficult times and find joy in the hope that Jesus has provided. Youll study the lives of . . . This pack includes one DVD and one study guide. Karen Ehman is a Proverbs 31 Ministries speaker, a New York Times best-selling author, and a writer for Encouragement For Today, an online devotional that reaches over one million women daily. 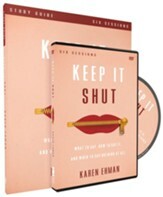 She has written seven nine books including KEEP IT SHUT: What to Say, How to Say It & When to Say Nothing at All and LET. IT. GO: How to Stop Running the Show & Start Walking in Faith. Married to her college sweetheart, Todd, and the mother of three, she enjoys antique hunting, cheering for the Detroit Tigers, and feeding the many teens who gather around her kitchen island for a taste of Mama Karen's cooking. 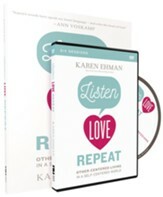 Connect with her at www.karenehman.com. Lisa Harper is a hilarious storyteller and theological scholara gifted communicator whose writing and speaking overflows with colorful, pop-culture references that connect the dots between the Bible era and modern life. Her God-given ability to not merely teach the Word but package it in a way that stirs the heart and calls to action is incomparable. For six years Lisa served as the director of Focus on the Family's national women's ministry where she created the popular Renewing the Heart conferences. The next six years foundher serving on the local level as the women's ministry director at a large church in Nashville. As the author of nine books, and a Masters of Theological Studies with honors from Covenant Seminary, she is now a sought-after Bible teacher and speaker currently featured on the Women of Faith®< sup> tour. 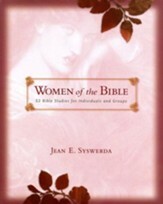 I'm the author/artist and I want to review Twelve More Women of the Bible Study Guide with DVD.